All dis-empowering emotions we might have experienced in the past are remembered in different parts of our body. For example, anger is most often stored in the liver and gall bladder; the sense of unworthiness in the stomach; helplessness due to lack of familial and communal support in the small and large intestines; and disappointment and grief in the heart. Instead of having to heal each of these areas individually, the Chinese Goddess of Mercy & Compassion Kuan Yin advised that we can focus on releasing all emotional toxins through the heart chakra since this is the energy vortex governing the physical heart which circulates blood around the body. 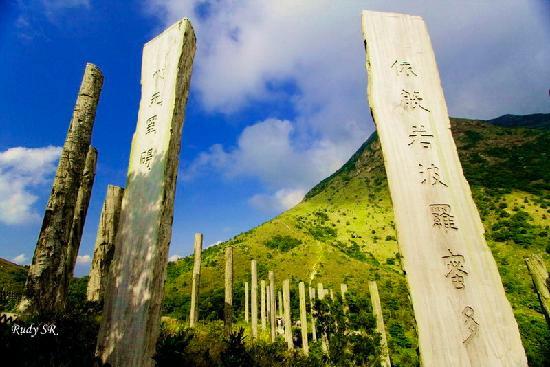 We can either channel our guides’ healing vibrations through the heart chakra for distributing to the entire body or for those who resonate with Kuan Yin’s compassion, we can use the Heart Sutra as the healing medium. The spiritual name of Kuan Yin is Avalokiteshvara, the Bodhisattva of Compassion. By connecting with her and chanting or listening to the Heart Sutra as frequently as guided, Kuan Yin explains the emotional sufferings and physical pains ignorantly perceived by the body’s mind as real can be transcended and be returned to the Void or emptiness, the only true ‘reality’ that exists. The sutra can be written in Sanskrit, Chinese or Tibetan – three of the five ancient spiritual languages, besides Egyptian and Hebrew. From my experience, reciting this mantra contained within the sutra is extremely healing in itself. 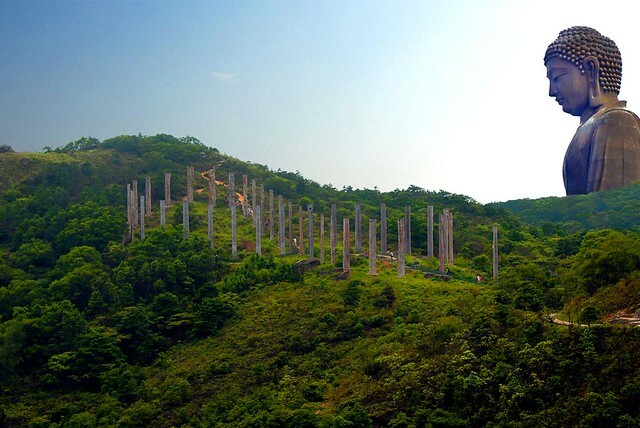 Wisdom Path at Lantau Island, Hong Kong. May you be Compassion to all beings. May you be Compassion to you. In loving kindness, Amara Tia Ann. Yesterday I was wondering about what mantra I would do next. Recently I have completed Om Sharavana Bhavaya Namaha for 40 days. 108 rounds in the morning 108 rounds in the evening. And so today you post this mantra with Quan Yin’s blessing. Quan Yin has been with me for the last 4 years … although she only made her presence felt on the even of the March equinox this year. Thank you once again Amara for this gift. Reblogged this on Queen Of Fire.